The internet has now become one crucial element of a company’s marketing mix. While redesigning a product, promoting one or while coming up with a new one; all marketers have to give equal thought to the internet just like every other element. And it is said that in 2013 it is likely to grow even further, signs of which we are already seeing. The number of internet users are increasing all across the world that is why it can serve to be a huge market full with potential buyers and ignoring such an opportunity can be costly for you as a marketer. As the internet will keep on dominating our lives in the coming years, it is very important that you follow the latest trends and make the most of such opportunities. The number one thing that you must do is make your own website. You don’t have to be a web designer for this purpose. In fact, I would recommend that you hire a professional and get him to design a unique and classy website for you which goes with the theme of your business. The most important thing when it comes to internet marketing is designing a website. Building a good website can provide your business the perfect medium to thrive upon! Facebook, Twitter, My Space and the likes are loaded with users and the use of this platform can have a global impact on your business. Now, almost every business has a Facebook page, even home-based business are making high revenues by promoting their business on such social networking sites. You can reach millions of customers scattered all over the world, even those you can’t reach personally. Thus make the most of these social networking platforms and make good money. Youtube is another medium to promote your product or business. Making videos for promoting a product has become mainstream nowadays because it is more likely to be viewed by millions of users. If your business or product doesn’t have a video yet, then its time you make one and spread it all over. 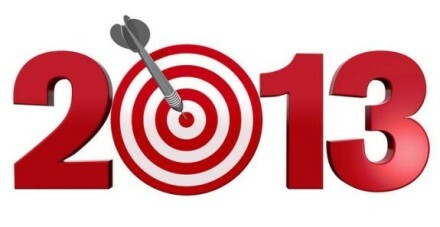 This is considered to be one of the hottest trends in internet marketing for 2013. Writing blogs, articles and web content for promoting you business and ideas is said to become a new fashion in 2013. As much as people are interested in social networking and videos, they are also developing an aesthetic sense and religiously follow some of the famous blog posts. So you can use blogs to improve your website ranking or promote anything of your interest. A perfect fusion of quality content and internet marketing is a sure way to become a success. Nowadays, to access websites or the internet, people are no longer limited to PC’s and laptops. Smartphones, iPhones, iPads, and tablets, these new devices have taken the use of the internet to the next level. So it’s time that you start planning for a website that will fit with all sorts of platforms and enable users to get access to it regardless of the technology that they use. By keeping these things in mind you can turn out to be a very effective internet marker and take your business to a new height of success!